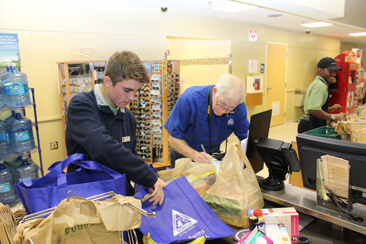 Florida Farm Bureau volunteers statewide will be celebrating Food Check-Out Week Feb. 13-17. The week will celebrate the abundant, nutritious food supply for all Floridians. A fundamental part of our well-being as a society depends upon the domestic production of food. Florida farmers produce more than 300 different commodities and generate more than $148 billion in annual economic impact. The average American is now at least three generations removed from the farm. To help better connect Americans to where food, clothing, shelter and energy are sourced, Farm Bureau volunteers will host various interactive community events statewide.